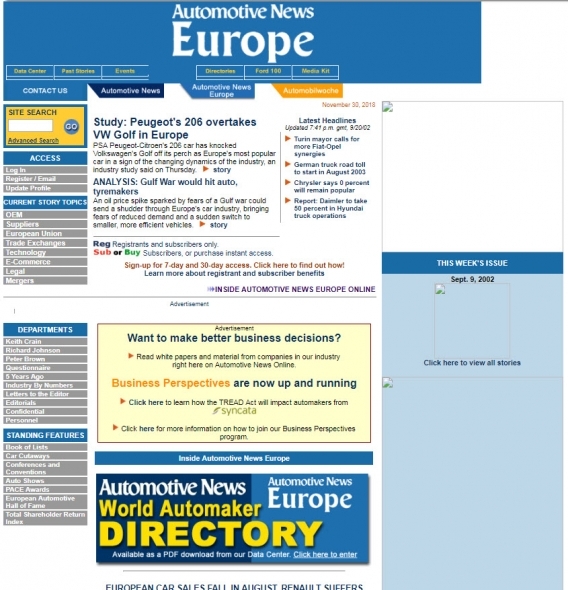 The Automotive News Europe website soon after it launched in 2002. 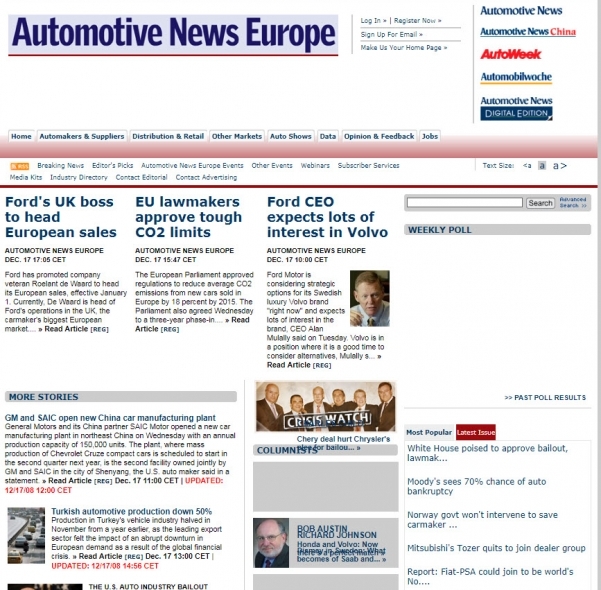 The Automotive News Europe website in 2006. 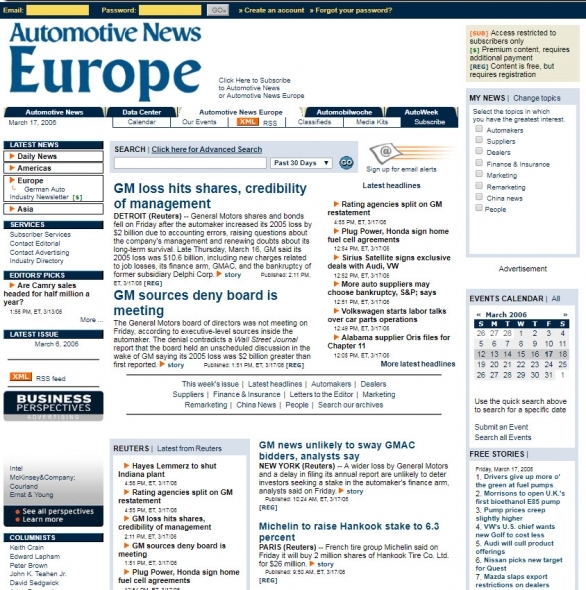 The Automotive News Europe website in 2008. 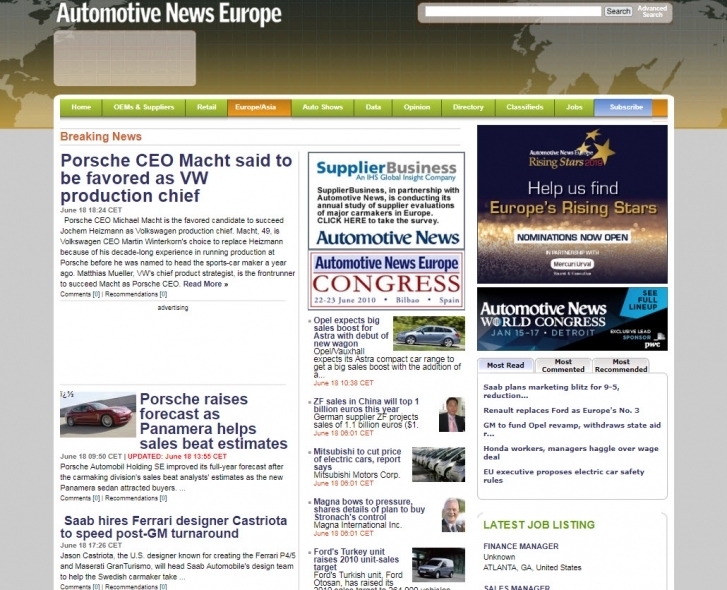 The Automotive News Europe website in 2010. 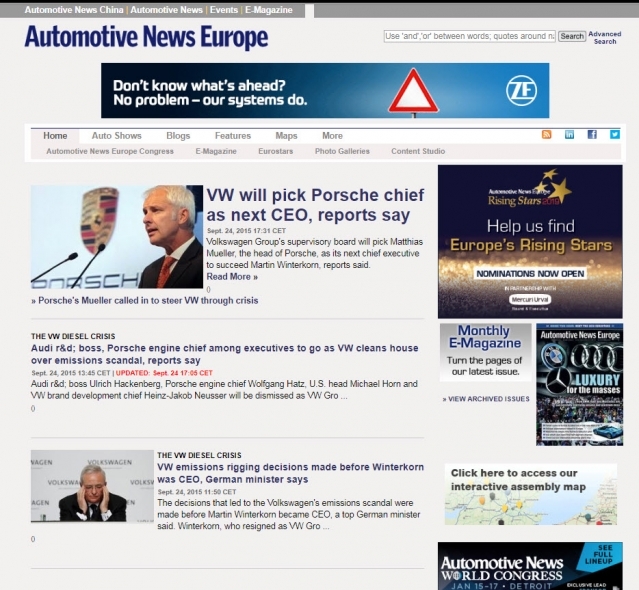 The Automotive News Europe website after its last redesign in 2015.